Guinness Storehouse – Based at the Guinness brewery in a six floor listed building, this attraction tells the story of Ireland’s most famous drink and how it came to be a favourite all over the world. You’ll learn how Guinness is made and meet Arthur Guinness himself, but the undoubted highlight is right at the end of your tour when you get to enjoy a pint of Guinness in the 360 degree Gravity Bar on the top of the building. The views across Dublin are superb and we just didn’t want to leave! 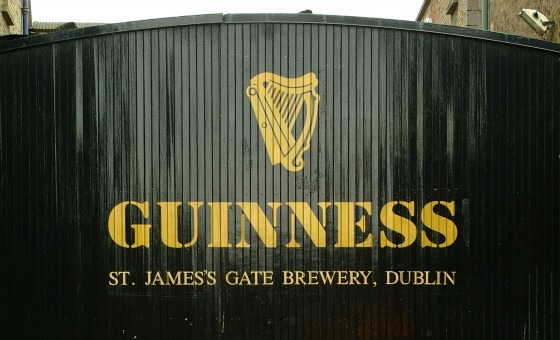 The Guinness Storehouse is a short journey from the city centre at St James’s Gate. We took the Dublin Hop-on, Hop-off Bus Tour to get there. 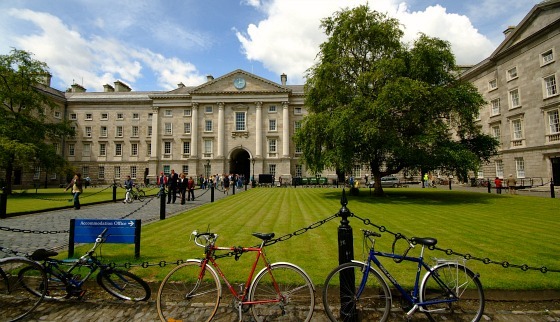 Trinity College – This college, right in the heart of Dublin city centre, dates back to 1592. The grounds are absolutely beautiful, particularly in Parliament Square and Fellow’s Square and there’s more beauty to see inside. We’d say the most impressive buildings to see are the Old Library full of ancient books including the “Book of Kells” and the Treasury. Another highlight outisde is the famous Campanile in Parliament Square. It’s nearly 100 feet tall and was built in 1853. Access to the chapel is sometimes available too, and that’s well worth seeing. It’s the only chapel in the Republic of Ireland to by shared by all denominations. We were particularly impressed with the huge painted window above the altar. 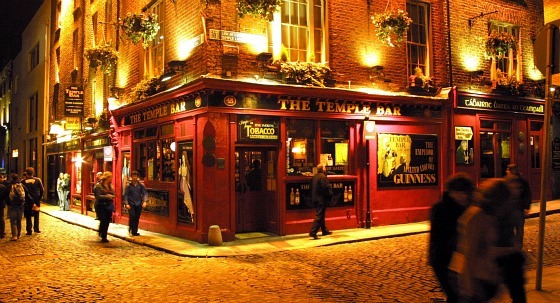 Temple Bar – This is perhaps the most famous area of Dublin where the streets are cobbled and the Guinness is ever flowing. The name comes from Sir William Temple who bought the land between Dame Street and the River Liffey back in the 1600s. It’s always been a busy area packed with small businesses, it’s just that today those businesses are bars, restaurants, shops and galleries. We really liked the Merchant’s Arch entrance to Temple Bar opposite the lovely Ha’penny Bridge as this leads you directly to Temple Bar Sqaure. Some of the other highlights in Temple Bar include Crown Alley with attractive cafe’s and shops, Meeting House Square the Irish Film Centre on Eustace Street. 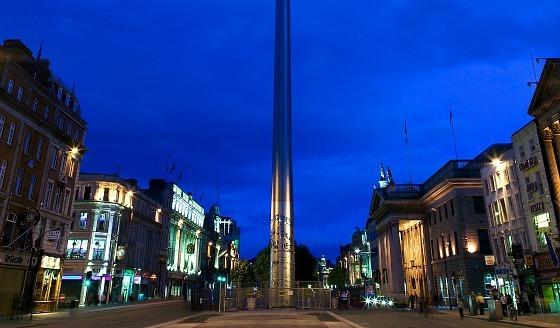 The Spire – As bits of public art go, we think this is one of the nicest things we’ve seen in the world. It’s a huge stainless steel needle pointing skywards from O’Connell Street, near to the General Post Office. At its base it’s 10 feet wide (3 metres), but at the top it’s only a few inches. It was completed in 2003 and stands on the site of the old Nelson Pillar which was destroyed in 1966 after an IRA bombing. Our tip is to stand at the bottom and place your head on the spire looking upwards. If there is any kind of wind, you will see the top of the needle moving around. 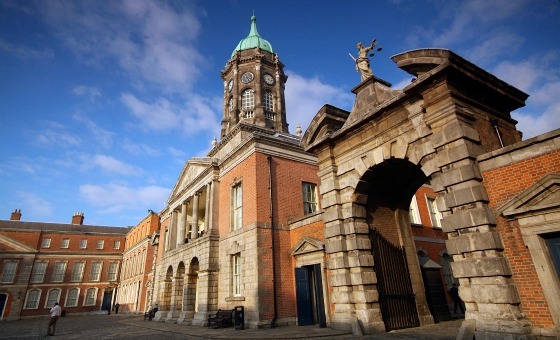 Dublin Castle – The castle is a legacy of British rule and is a conglomeration of buildings from various different points in time. For instance, the circular Record Tower dates back to 1226, but the chapel bolted on to it was completed in 1814. All in all, it’s a journey through time when you visit and the two things we were most impressed by were the beautiful gold-decorated Throne Room and St Patrick’s Hall which is the castle’s largest function room. Dublin Castle is just off Dame Street. Shopping – Dublin has the kind of shops you’d expect in any major capital city with the big names centred around Grafton Street (pictured above) and Henry Street. 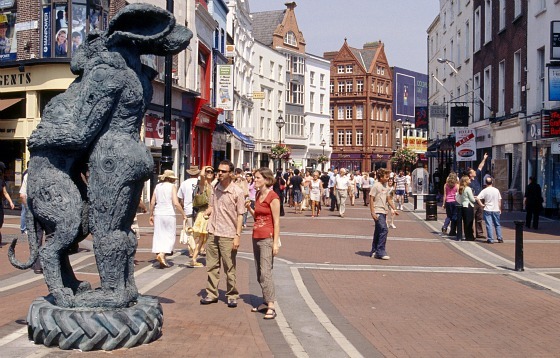 There are many little shopping streets to explore off Grafton Street too. In addition to this central area though, there are numerous little shopping precincts or arcades to discover like Powerscourt Town House on South William Street which is packed full of boutique and independent shops. 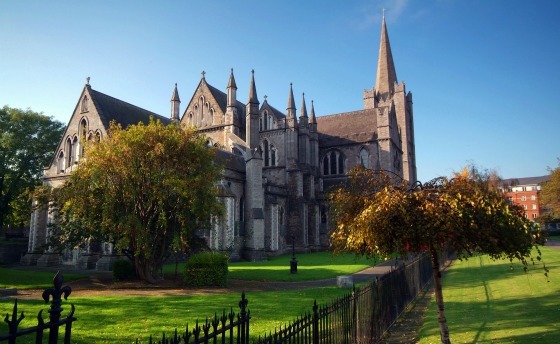 Christ Church Cathedral – This is the Anglican Church of Ireland’s cathedral in Dublin dating back to 1186. Inside, a renovation in the 1870s has ensured it’s survival as a working church to this day. Amongst the highlights to look out for are the medieval brass Lectern which stands in front of the pulpit, the Strongbow Monument dedicated to Strongbow himself and the huge Crypt with all its treasures. The cathedral is in Christchurch Place near Temple Bar. 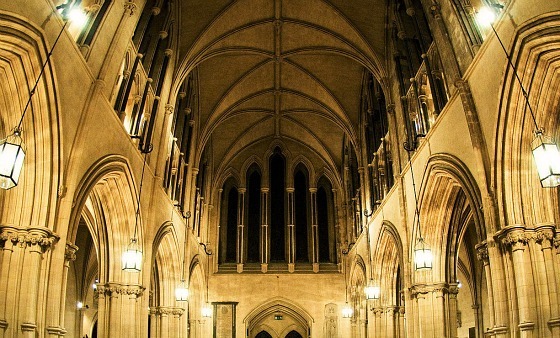 St Patrick’s Cathedral – This is Ireland’s largest church and the Protestant Church of Ireland’s national cathedral. It was founded right next to a well where St Patrick baptised converts around 450AD. Most of the church was constructed in the 1200s but was totally restored in the 1860s. Inside you’ll find memorials in the shape of busts and brass plaques. It’s an attractive church, inside and out and well worth a quick visit. You’ll find St Patrick’s cathedral next to St Patrick’s Park. 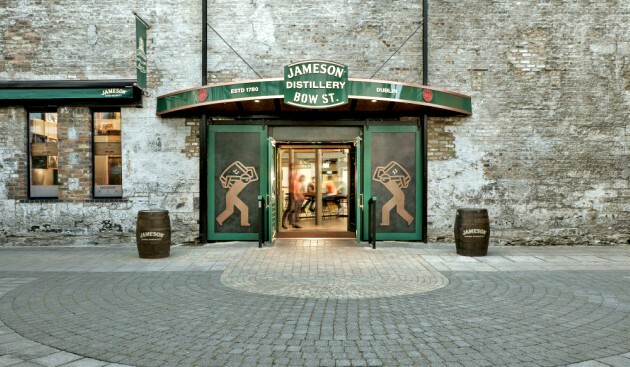 Jameson Distillery Bow Street – If you’re a fan of Irish Whiskey, you’ll enjoy this exhibition located in a restored building that was part of the Jameson distillery. Whiskey was produced here from 1780 to 1971 and the exhibition takes you through the history of the site and the legacy of the brand along with other Irish brands. You hear about the difference between Scotch Whisky and Irish Whiskey too (apart from the missing letter that is). After your tour you can do a comparison taste in the bar. The Jameson Distillery is on Bow Street in the Smithfield area of Dublin. 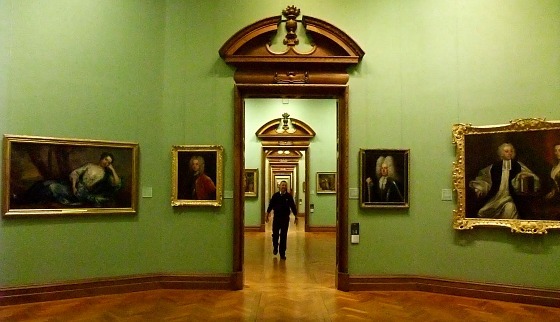 National Gallery – As you’d expect, you’ll find the best works that Ireland has to offer inside the National Gallery. The building was puropse built in 1864 and the exhibits inside have been built up since then. The main entrance is on Clare Street and there are many significant paintings to look out for. To be honest, the gallery is vast and you could spend the best part of a day in here. Even if you don’t have lots of time though, it’s worth a quick visit to escape the hustle and bustle of the city centre, especially as admission is free. 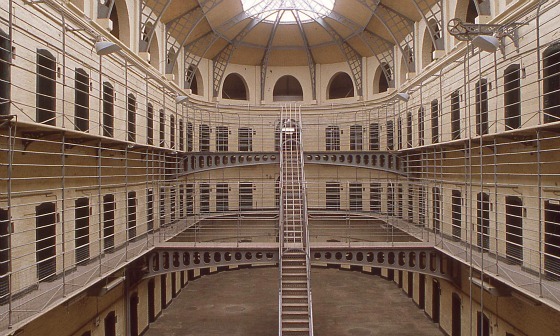 Kilmainham Gaol – This former prison is another legacy of British rule in Ireland with a gruesome past, but it’s also a prison interior you are likely to recognise because it’s been used in many movies and TV Shows. It was originally built in 1789, but was restored in the 1960s and the main cell block is just as you’d imagine a Victorian prison to look. We got a real sense of how this place was a symbol of the struggle against British rule and the fight for Irish independence. The most notable movies to be filmed here include The Italian Job and In The Name of The Father. The gaol is slightly outside the city centre on Inchicore Road in Kilmainham. We used the Dublin Hop-on, Hop-off Bus Tour to get here. 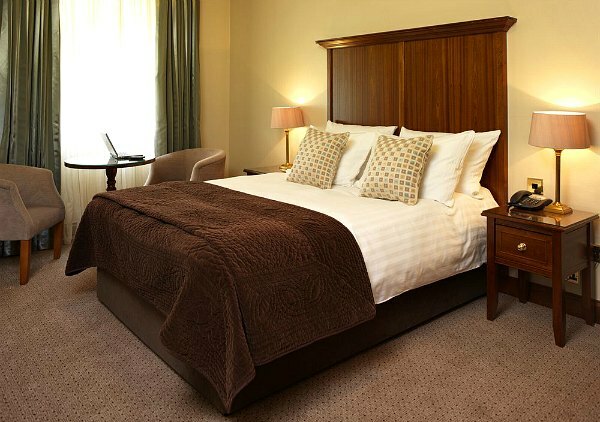 We stayed in Ballsbridge on our visit to Dublin and although it’s a pleasant area with decent hotels (we stayed at Bewleys which is pictured above), it’s a long walk into Dublin centre. We walked sometimes, but used the regular Dublin bus services to get into the city centre on most occasions. Next time we go, we’re planning to stay at Morrison which we’ve heard great things about! Wherever you choose to stay, we recommend you check the best rates at Hotels.com because of their price match guarantee. The city centre of Dublin is fairly compact and you can easily walk to all the central sights. However, for attractions like the Guiness Storehouse and Kilmainham Gaol you will need to use public transport. We found Dublin’s busses to be simple and reliable, but we also used the Dublin Hop-on Hop-off Bus Tour as a way to get around as this stops at all the major sights.